If you need to follow more than 1 open position , you would ike to use this simple TrailingStop EA. Follow the positions of the graph's symbol. Follow a position that has a given ticket number. Follow the positions that has a given Magic number. If Positive Profits is selected , Trailing Stop is applied just for them. 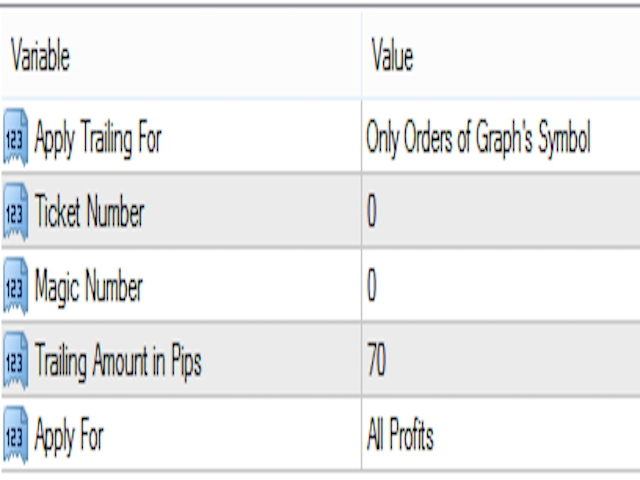 If All Profits is selected , Trailing Stop is applied both positive and negative profit positions. It is totally free, no time, no lot, no parity etc. limitations. Please report any bug issue or free development request (volkanyurci@gmail.com) upon your needs. 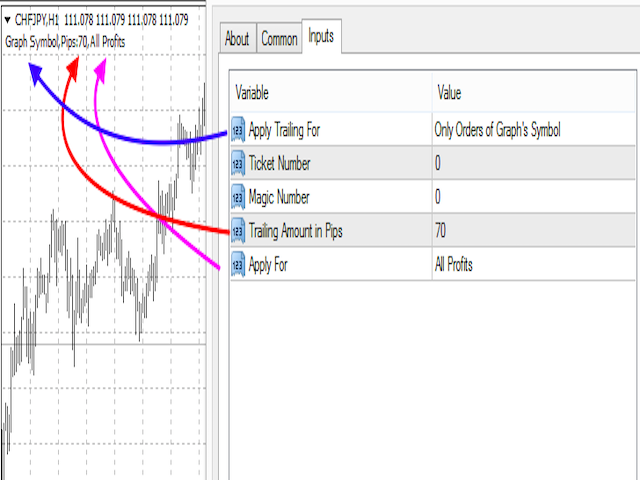 Trailing Stop can be also applied to negative profit positions by version 2.